An airport’s traffic development can be adversely affected if the airport reaches its noise capacity, i.e. a noise impact limit is hit which is not to be exceeded. 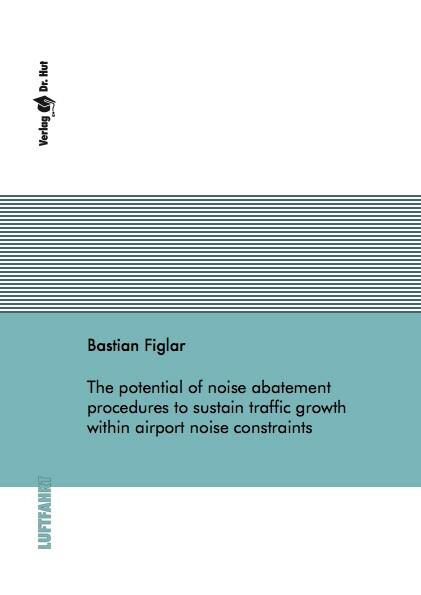 In this study, such an airport is henceforth defined as noise constrained. ICAO’s Balanced Approach as well as ACARE’s Strategic Research Agenda, request the combination of different elements of noise management to control the noise burden around airports whilst guaranteeing sustainable air traffic development. So-called noise abatement procedures (NAP) are one element of the Balanced Approach and are generally seen as the most promising means of noise reduction in the short to mid-term. This study intends to quantify the potential of NAPs to sustain traffic growth at a noise constrained airport.